This scholarship was created to promote future addiction studies educators and researchers pursuing an advanced degree for addiction focused evidence-based practices in higher education. The student scholarship award provides monies to attend the annual NAADAC conference that is co-sponsored by INCASE. This award is in honor of Dr. Gerald Garrett. Dr. Garrett (as a young professor) taught at the University of Oregon, UCLA, University of Wisconsin (White River campus) and the University of Maryland overseas extension program and Columbia University. In 1974 he accepted a position at the University of Massachusetts/Boston where he was Chair and professor of Sociology, Director of Alcohol and Substance Abuse Studies and Coordinator of the Criminal Justice Program. He was actively involved in publishing articles in Sociology and Criminology. He co-authored several books of which two are currently used today. While studying homelessness he and his co-authors published "Responding to the Homeless" and "Manny". He also served as the President of the Homelessness and Substance Abuse National Association. 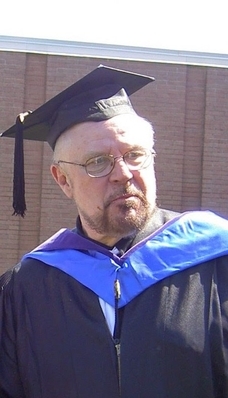 He retired as Professor Emeritus and would continue for many years as a consultant in Alcohol and Substance Abuse. 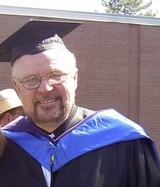 Dr. Garrett was a founding member of INCASE and President of INCASE from 1995-1996. Under his leadership the INCASE bylaws were created and INCASE became a corporation in the state of Idaho. He passed away on January 14, 2013 at the age of 72. Essay shall be in 12 point font, 3-4 pages in length, double-spaced expressing the desire to become a future addiction studies educator/researcher in higher education. The essay needs to provide the students’ current status at a college/university, vision of the addiction profession, and the importance of higher education to become a competent addiction professional. Timeline · Submission dates begin on April 25th, 2018 and ends June 1, 2018. Notification of award will be on July 7, 2018 · Award of scholarship at NAADAC conference in Texas. The winning student shall receive a $1000 scholarship award at the NAADAC/INCASE conference. The essays will be reviewed by the INCASE board of directors and the second and third place essays will receive a free one year student membership to INCASE. The recipient of the $1000 award must attend the annual conference and the INCASE general membership meeting held at the conference. It is incumbent upon the student to make the appropriate travel arrangements, pay registration fees, and lodging fees. The scholarship dollars will be awarded at the conclusion of the conference each year.